An estimated US$78 trillion will be required for global infrastructure investment over the next two decades. Infrastructure requirements in North America, Europe and Asia vary, with spending planned to meet the needs of projects relevant to the particular region. Historically, Governments were the exclusive providers of a nation’s infrastructure. Over time, and as a consequence of the global financial crisis, lower tax revenues and higher expenditure has meant that governments are increasingly relying on the private sector to help fund these investments. With governments around the world at various stages of the continuum when it comes to engaging the private sector, Australia and the UK are the most advanced. They have recognised that the private sector infrastructure companies value transparency, certainty and the ability to manage risks in the regulatory frameworks or contracts. In addition, some governments have recognised that for new capital to undertake the required investment an attractive return framework needs to be provided. Indeed, it’s not been uncommon for regulators to offer incentives above a base level return, either implicitly or explicitly, in order for specific strategic investments to be undertaken. These conditions are the basis for a structural growth story for global listed infrastructure companies. The infrastructure requirement is massive, and with attractive returns and supportive frameworks we expect continued stable, reliable, cash flow growth from global listed infrastructure companies of 7-9% over the medium to long-term. These conditions are the basis for a structural growth story for global listed infrastructure companies. The infrastructure requirement is massive, and with attractive returns and supportive frameworks we expect continued stable, reliable, cash flow growth from global listed infrastructure companies. The stable regulation provides for reliable dividend yields of 3-4%, while returns on ongoing investment is driving growth in cash flows of 7-9% (with which companies can re-invest or return to shareholders). 1 PwC, 2014. 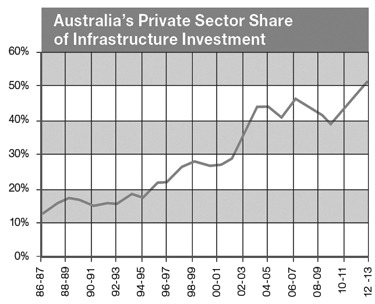 Capital Project and Infrastructure Spending. 2 The Economist, 2014. The Trillion-Dollar Gap. www.economist.com/news/leaders/21599358-how-get-more-worlds-savings-pay-new-roads-airports-and-electricity. 3 European Commission, 2014. 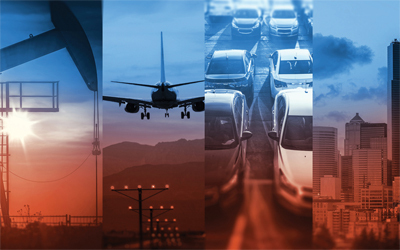 European Economy: Infrastructure in the EU: Development and Impact on Growth. 4 McKinsey, 2012. Asia’s $1 Trillion Infrastructure Opportunity. www.mckinsey.com/insight/financial_services/asias_1_trillion_infrastructure_opportunity.